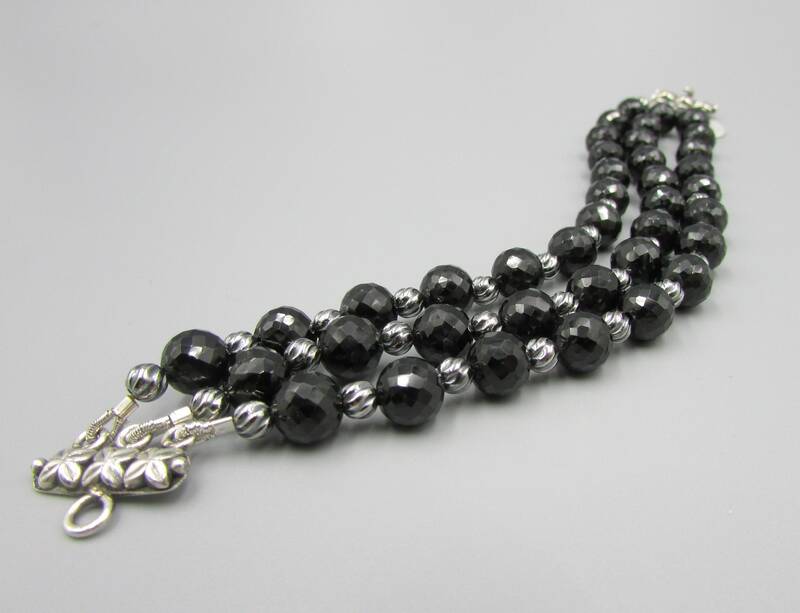 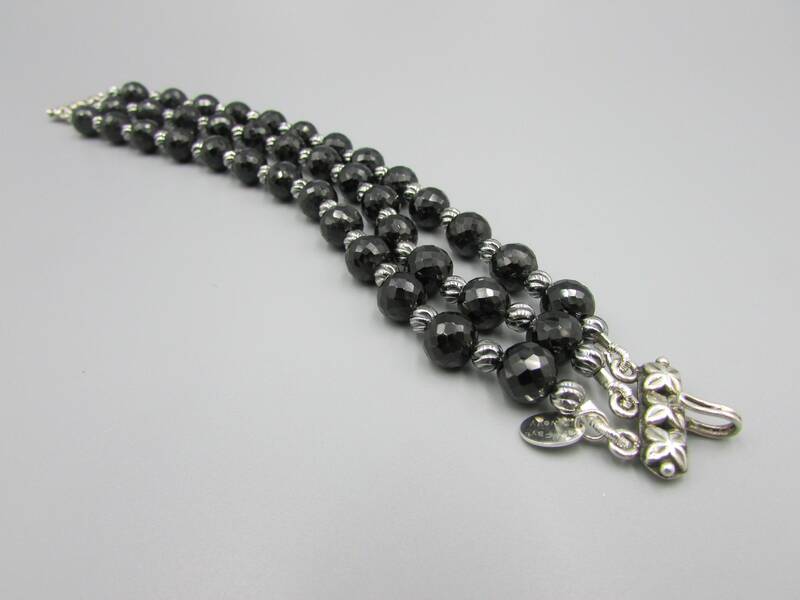 This beautiful triple strand black spinel bracelet is created with 7mm faceted round black spinel gemstone and 4mm antique sterling silver swirl spacer beads. 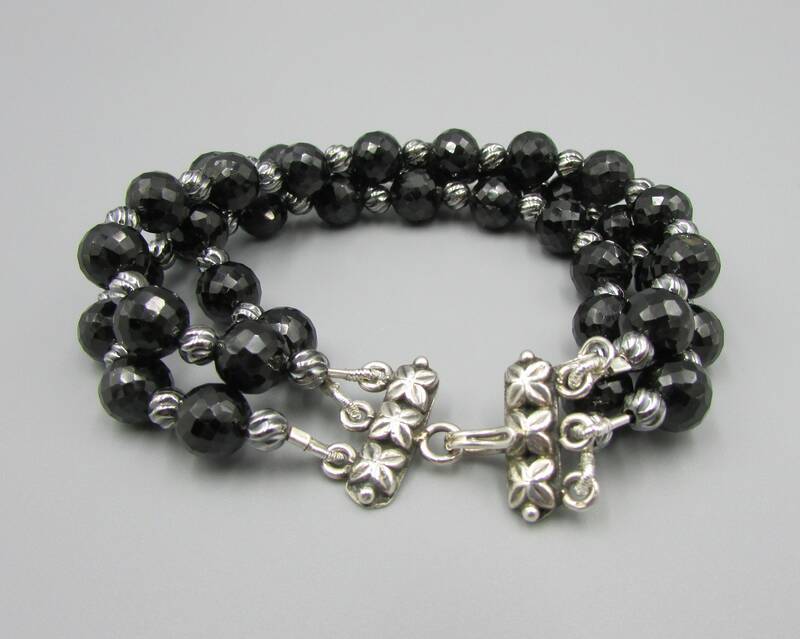 The clasp is antique sterling silver hook styled with 3 decorative flowers. 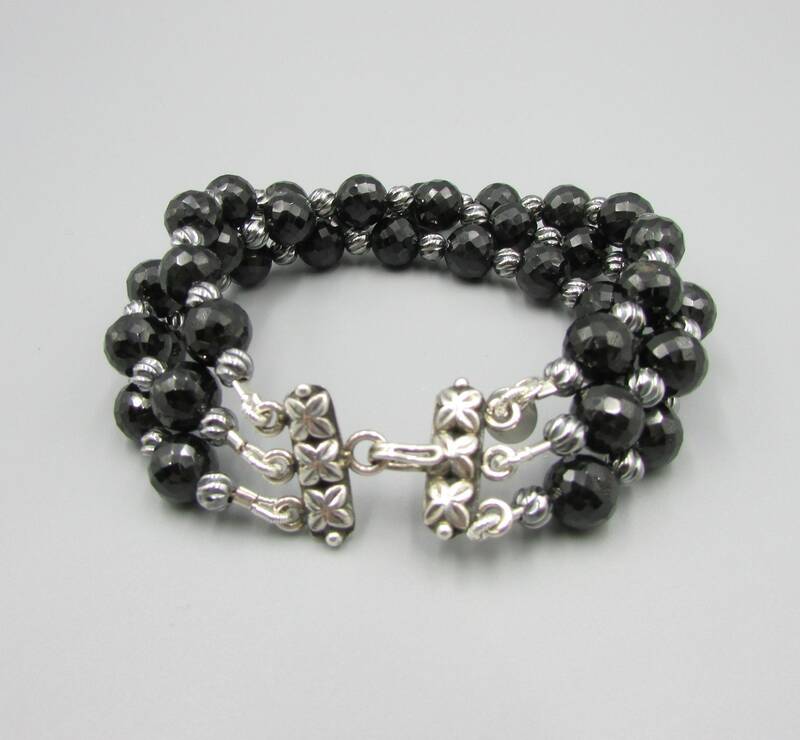 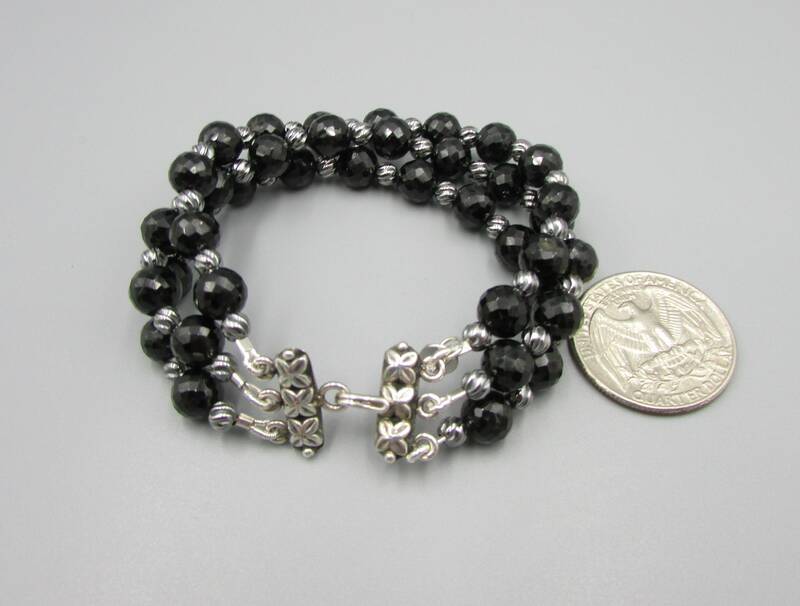 This bracelet is made for the smaller wrist and is 6-1/2 inches long. 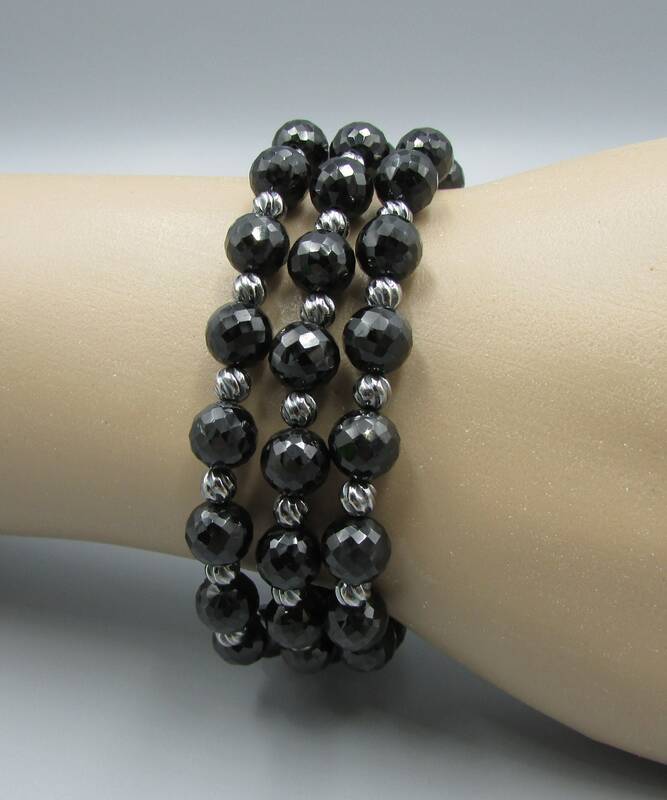 I would suggest for wrist 6 inches or smaller. 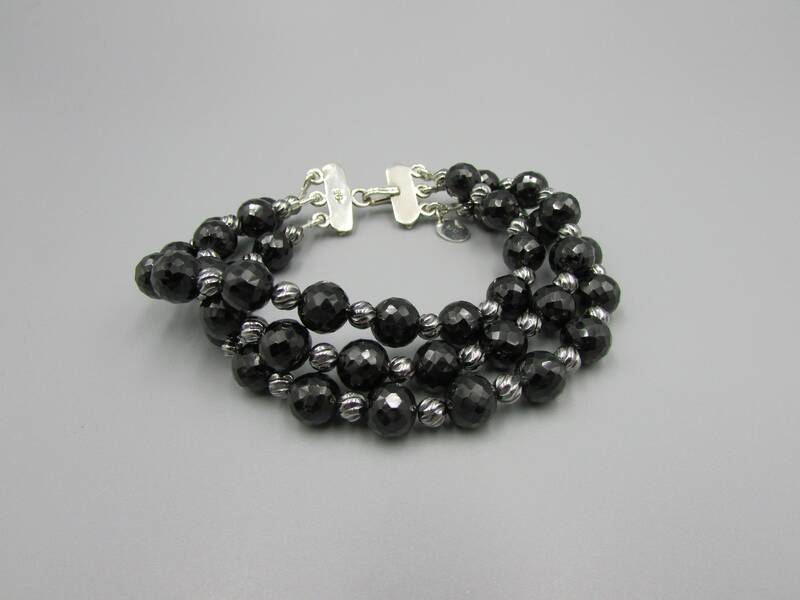 I can restring this bracelet for a larger wrist is needed, please send a convo if you'd like one of a different length. 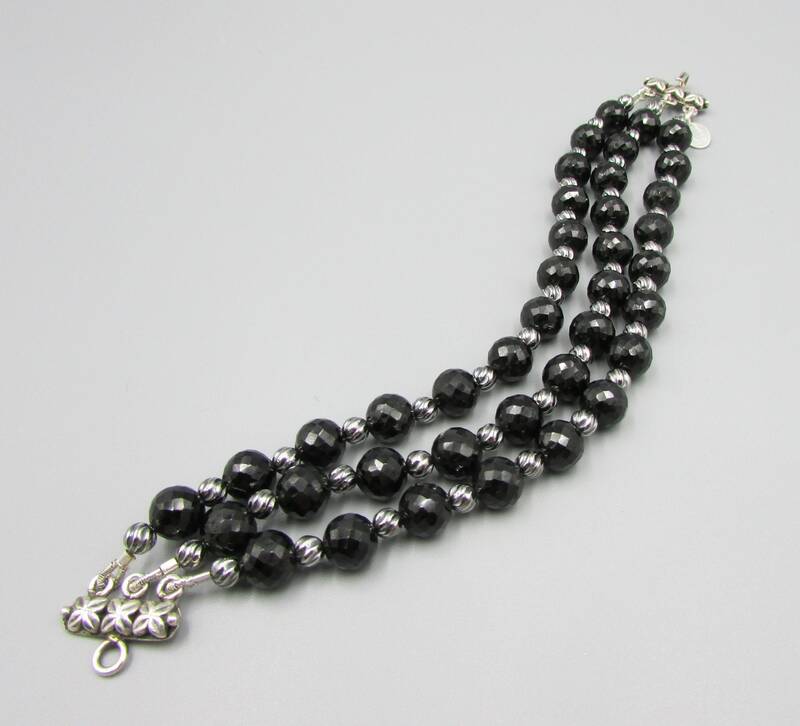 The black spinel gemstone is high luster and looks great with antique finished findings.